I may not have Bill Belichick or New England Patriots fans agreeing with me, but I thoroughly enjoyed Super Bowl XLVI. Eli Manning is now 2-for-2 in Super Bowl appearances that ended in wins and his selection as Super Bowl MVP. It seems like even as Peyton Manning was setting records at the University of Tennessee, and establishing himself as a young superstar in the NFL, we kept hearing about Peyton’s kid brother Eli. And the pundits said that Eli would be even better than Peyton. I appreciate “promising young talent”, but to me the “proof is in the pudding”. Eli had almost as decorated a college career as Peyton, and the San Diego Chargers were set to select him with the first overall pick in 2004 because they acknowledged he was the best quarterback in the draft. Eli and his famous dad (Archie Manning) publicly stated he would refuse to play for the Chargers. I am a team guy, and I was furious that this spoiled athlete and his daddy would buck the system out of selfishness versus “taking his licks” like his classy older brother. While Peyton established himself as the author rewriting the NFL record books for a quarterback, and became the face of the NFL, Eli struggled massively in a large TV market with an unforgiving fan base. Peyton became the most feared field commander on an NFL football field, and Eli looked hapless and overwhelmed. And as a fan, I relished it! Cream rises to the top – Peyton = cream, Eli = flotsam! Fast forward to the 2008 Super Bowl. Peyton won the prior year’s Super Bowl, and now Eli Manning’s NY Giants make an improbable Super Bowl run to face the undefeated New England Patriots. With the NY Giants trailing the Patriots in the 4th Quarter, Eli miraculously evades a sack and throws the ball deep to David Tyree who catches the ball by trapping it to his helmet with one hand. Eli later completes a TD pass to secure the historical upset win. It was an exciting Super Bowl, but my thoughts: Eli got lucky! If Peyton had that defense he would have 3 Super Bowls by now! Eli struggles through the 2008 – 2010 seasons, and then proclaims himself an elite quarterback before the 2011 season. Are you kidding me, I would take 5-7 quarterbacks in the NFL before I would choose Eli?!? Eli has a schizophrenic 2011 season where he toggles between looking like a super hero (quarterback rating 100-145) and looking like an overwhelmed rookie (had a QBR of 45 in a late game versus the Redskins). However, he posts 90.7 and 136.7 QBRs while knocking off the Cowboys to capture the NFC East Crown. Eli starts showing unflappable brilliance that includes setting an NFL Record for most 4th quarter touchdown passes in a season (15). Cue up Super Bowl XLVI. The Giants take a 9-0 lead in the 1st Quarter. They watch the Patriots score 17 unanswered points. The Giants chip at the lead by having to settle for a couple of field goals instead of getting touchdowns. They get the ball back with 03:46 left in the game, down 15-17, needing to drive 88 yards with only one timeout remaining. Eli goes 5-6 for 77 yards, and the Giants score the game winning touchdown. His overall numbers were 30-40 for 296 yards and a 103.8 QBR. Eli deserved that second Super Bowl MVP and championship, and he most likely secured his enshrinement in the NFL Hall of Fame when he retires. In the last 8 seasons, I have watched a spoiled young athlete…born with an NFL quarterback silver spoon in his mouth courtesy of Archie Manning…get tempered in the crucible of one of the most unforgiving big media markets in the NFL. Throughout his career, Eli has stood up to the scrutiny and he never lost faith in his ability to lead and win. He now stands at the pinnacle of NFL success for a second time, and this fan finally acknowledges Eli Manning as a winner and Leader of Men. 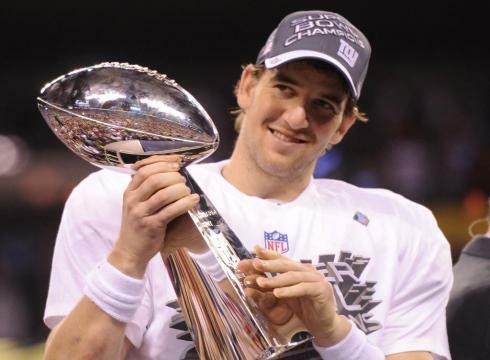 What are your thoughts after Super Bowl XLVI? And did you get a chance to try out the Pulse Analytics LiveStream during the game? I love my Vickery Girls - and grandsons! My career has blessed me to the point I was able to start a new consultancy in 2018: Analytic Integrity. I look to provide analytic experience, and business integrity, to an Analytics world while helping data-driven organizations mature. I enjoy teaching and coaching, watching football and basketball, and playing tennis. I graduated UT-Austin. Brian, aloha. Though I did watch the Super Bowl with some friends, it was not with the same insights and perspectives as you. That being said, I truly appreciate your explanation of your thought process on Eli. As I mentioned in our tweet exchange, there was something about his manner that did not motivate me to cheer for him. My thoughts were definitely less than positive. One of the things your post shows so clearly is that success is a journey over time rather than an overnight sensation. Obstacles and challenges either make or break us. We either learn by our mistakes or we do not move forward. From what you say, it sounds like Eli is now consistently placing one foot in front of the other and making his own moves. And, of course, until tempered with age and through experiences, youth does tend to be brash. Unfortunately, I did not have the opportunity to play with Pulse Analytics LiveStream during the game because we were guests in someone’s home. Since it was our first time there, we were well behaved. Glad you enjoyed your Super Bowl party and were so well behaved, Janet ;). Eli has definitely come a long way in regards to a tempered confidence versus youthful brashness. I think he has definitely become one of the good citizens of the NFL that also has the success to drive his good influence with the next generation of athlete. Perhaps it is time to put him in the same sentence as Aaron Rodgers, Drew Brees, Tom Brady…and his brother Peyton Manning. That puts him in the top 5, although I would still those other 4 QBs ahead of him! Thanks for stopping by, Janet. Boo! Boo! Boo! to this entire post. Just kidding, but I’m a Pats fan, and we played like absolute crap on Offense EXCEPT for Tommy Boy. I’m with Gisele on that one. But yes, I like Eli- how can you not. And he’s great. I don’t know if he’s ‘greater’ than Peyton, but those kind of comparisons always bother me… Peyton DID, however, choke quite a few times in the playoffs against Tom & the Pats. Eli has yet to do THAT. I would still take Peyton Manning, Aaron Rodgers, Drew Brees or Tom Brady before Eli Manning. However, he has shown to be sporadic…and then clutch when it counts. And this year, Eli was especially good. Props to him. Sorry about your Pats. I suppose you saw the new “Bradying” pose that is a play off of Tebowing ;)?